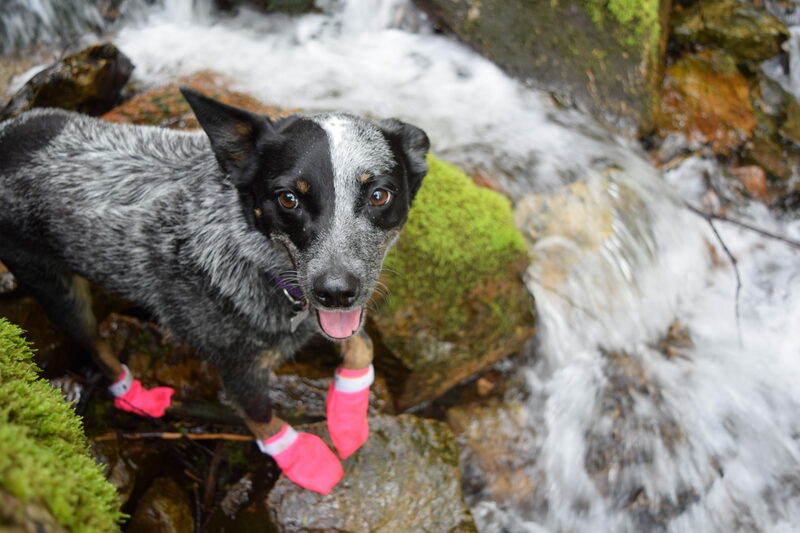 This is the third review in a series of life jacket reviews – click to see what we thought of Hurtta, Kurgo and Alcott and don’t forget to read our Water Safety Tips for Dogs! Once you look beyond its cutesy print the Fun Fish Life Jacket we received from Outward Hound is actually a pretty functional life jacket, especially for its price point. It features an orange ripstop shell with printed white clownfish stripes and clownfish eyes. We found the printing to be surprisingly durable with no damage during our testing period, and couldn’t find any reports of it peeling in online reviews. Flotation comes via a foam back panel split into three longitudinal sections; they bend reasonably well around the dog’s back and offer enough support to keep the life jacket from bowing when the dog is lifted by the handle. I prefer this three-way split of foam panels to bilateral panels which tend to squeeze Robin like a sausage, but my favorite design is the narrow foam struts of Hurtta’s Life Savior, which makes for a more flexible fit. The Fun Fish’s belly panel is thick neoprene, fastened by an ample amount of hook-and-loop, and it’s backed up by two semi-girth straps. The straps come with elastic keepers, but no tri-glides to guarantee against slippage. I’m disappointed they didn’t add such an easy safety function, as well as one full circumference girth strap, but with the straps backing up a substantial belly panel, I’m less concerned about the omission here than on the floating belly panels I’ve seen on other life jackets and tested on a previous model from this brand. The assistance handle is middle-of-the-road relative to the jackets we’ve tried. It’s sewn to be slightly raised and features a stitched-down padded grip, but doesn’t have enough structure to stand all the way up for easy grabbing. However, it’s much better than other models where the handles are flush with the back of the life jacket, and better than our Alcott life jacket, whose padded grip slipped around during use. 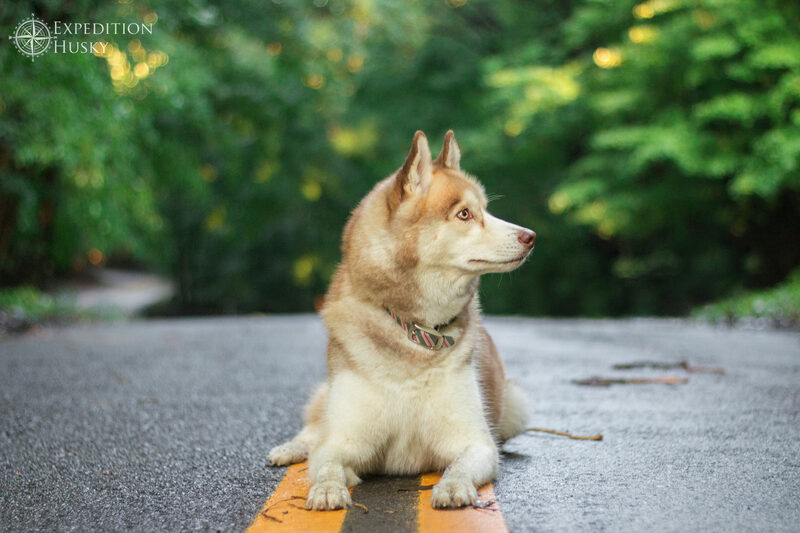 It’s also worth noting if you like to clip a leash to your dog when on the water or approaching the beach, be aware that there’s no leash ring on this life jacket. Like a lot of low to mid-range life jackets, this one features a little floaty chin pad to keep the head above water. The amount of foam is so minimal it can be pushed underwater with very little force, and it doesn’t have enough surface area to support a head. I find these to be a marketing gimmick and an unnecessary flap, but it hasn’t gotten in Robin’s way. This is the best fit we’ve gotten in a life jacket around this price point, although it’s not what I’d consider an active fit. The similarly priced Alcott life jacket only came in three sizes and I had to cut down a medium to fit Robin. In the Fun Fish, he’s a small, designed for 16 to 20″ girth (Robin’s 19) and 15 to 30 pounds (Robin’s 18lb). The girth measurements seem about right based on his fit, but I think the weight is a tad generous, so I recommend choosing based on girth size. Considering that Robin’s almost at the upper limit of this size Fun Fish, the belly panel is shockingly substantial on him. It butts up against his elbows, risking chafing, even when the front chest strap is loosened to almost its full extent. Despite the chafing risk, I haven’t noticed any damage to Robin’s bald armpit skin. Robin’s always been pretty easygoing about life jackets but he’s less comfortable in this one. Although he’s not happy during the buckling-in process, Robin’s OK after he starts moving around a bit, so I know it’s not actively uncomfortable. For casual use and activities where the dog won’t need to move around a lot (like sitting on a boat), the belly design would be fine; for active swimming or running on the beach, I prefer a smaller panel. 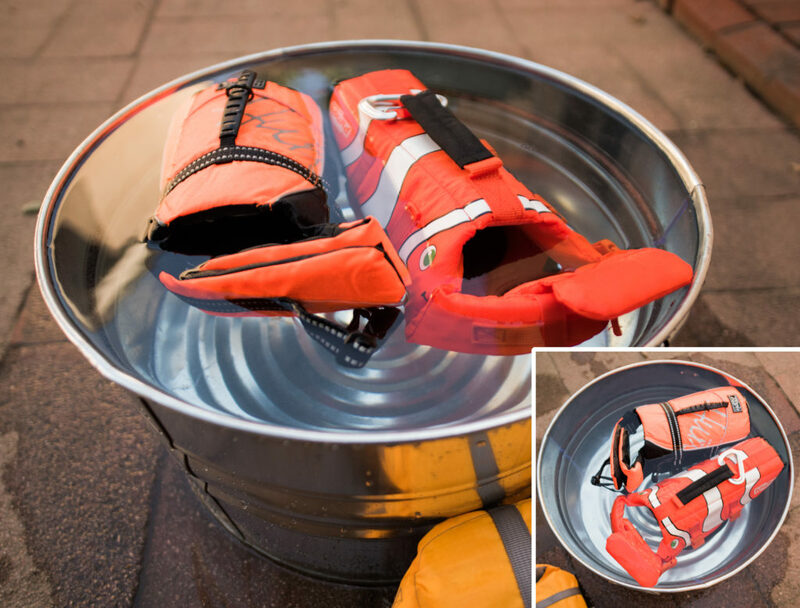 The overall good design elements add up to a functional life jacket. The assistance handle was easy to snag even while Robin was tearing around on the beach. As you can see in the picture above I rigged up a quick test to see how well the life jacket floated, compared to other life jackets we have on hand. 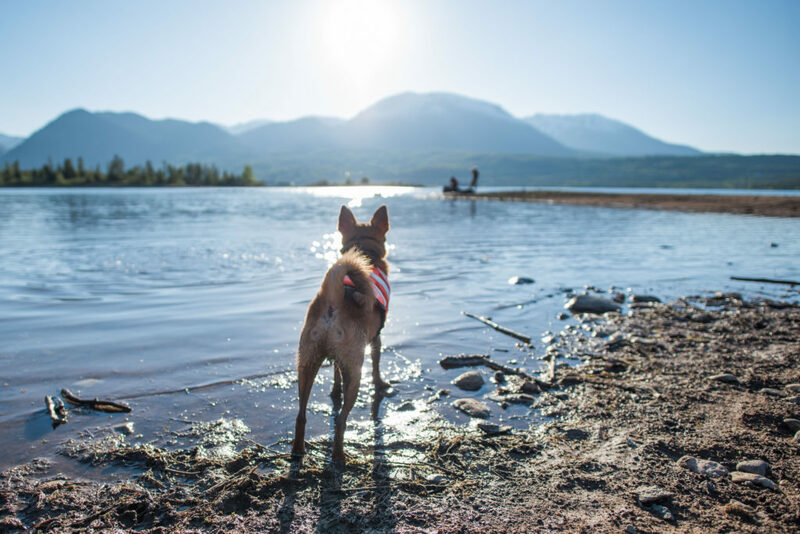 Note that life jackets don’t need to hold the full amount they’re rated for – dogs are partially water (about 60%) as well as fat (around 15% for fit dogs), so a good portion of body weight already floats. During the test, I was shocked that the Fun Fish held more weight than our two (more expensive) Hurtta life jackets – I don’t have small enough weights to get more precise, but the Fun Fish held 2.5lb and sank with 3.75lb, while both Hurtta jackets held 1.25lb and sank with 2.5lb. However, the Hurtta life jackets are rated for 10-20lb, while the Fun Fish is rated for 15-30lb, so it makes sense that it supports more weight. It’s also larger overall, especially in the dimensions of the foam back. In the photo above the Fun Fish is floating with 2.5lb of weight and Hurtta with 1.25lb. The Outward Hound Fun Fish Life Jacket (and color variants, if you can’t handle the cute) is now my highest-recommended life jacket at this price point. It’s superior to the Alcott Mariner, at a similar price, with a better handle design, better sizing and sturdier belly/restraint system. I consider it to be reasonably safe – not as guaranteed as the more expensive Hurtta models with a full girth strap, but much safer than a lot of what’s available for under $25 or even $40. We found it to be surprisingly durable and it’s gotten 3.7k Amazon reviews averaging to 4.5 stars for this model coupled with two color variations. Fit of the belly panel is definitely a consideration, but if you’re looking for a casual use life jacket this is a great option. Bonus tip: if you have two dogs, get one clownfish and one of those shark fin life jackets. Guaranteed to amuse fellow beach-goers. Disclaimer: While we thought this life jacket was a great value for its price point every dog is different and it does not mean it will work for you. 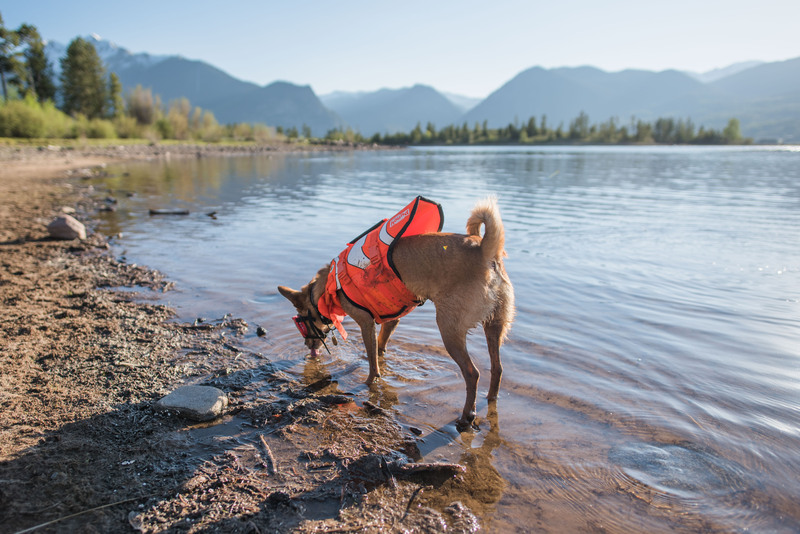 A life jacket is not a fashion accessory, before you purchase evaluate your pups needs and make sure that the size and buoyancy will work for YOUR pup. If you’re not sure how specific safety features will work for you reach out to the company and get clarification/confirmation. 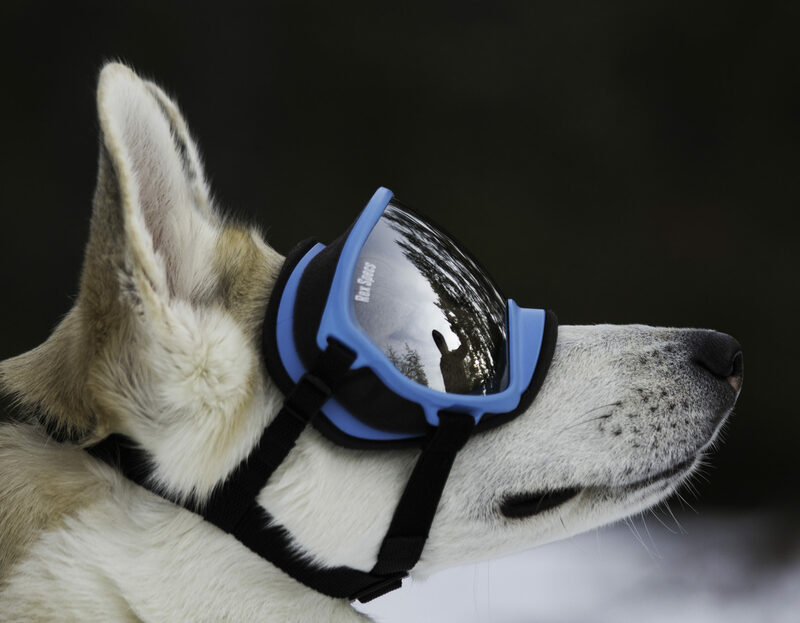 Will you be reviewing Ruffwear’s float coat? Unfortunately not this summer – we are Canadian and couldn’t get the new version of the Float Coat in time to include it in this series of reviews.